GNU Screen is a really fantastic piece of software. 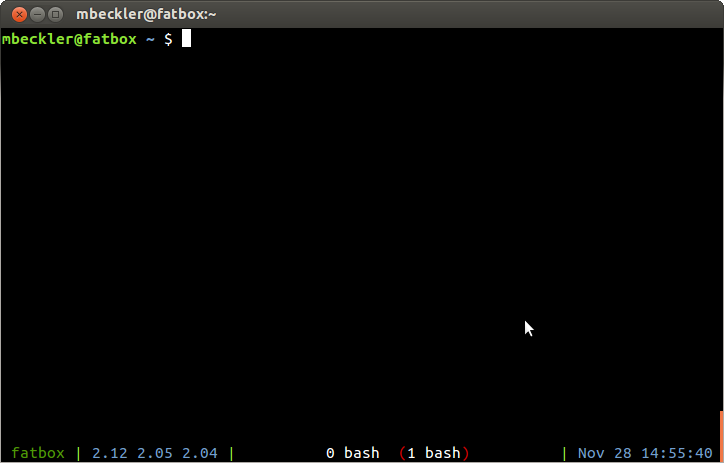 Screen is a “terminal multiplexer”, that allows you to run and manage several terminal instances from a single terminal window. It’s sort of like how a graphical user interface lets you have multiple graphical application windows running at the same time, allowing you to switch between them at will. Screen is really great when working on a remote server over wifi or any unreliable network connection, as a dropped connection won’t kill off your jobs or close all your shells, you can simply reconnect to the screen instance when you reconnect. I used to have an ffmpeg command line that I used to video record a window on my linux desktop, but it stopped working a while ago and I didn’t want to dig into the man pages to figure it out all over again. So, I went looking online to try and see what other people had done. The best solution I found is a little shell script with a tiny bit of GUI added via zenity. It is called Capture Me, and you can download it at that link. I haven’t ever tried it with capturing audio as well as video, but it will probably work too.